The Firm Foam ink pads that Stampin' Up! introduced last year help you get a nice, crisp image when stamping. One of the drawbacks to the new foam, though, is that your ink pads dry out faster. Do you know how to re-ink your ink pads? Watch this video to see how to do it. Also, just a reminder that there are only 2 days left to take advantage of the $25 starter kit. 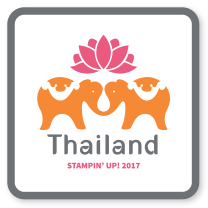 How does a 20% discount on Stampin' Up! products sound? Join my team and you will also have access to Stampin' Connection, a demonstrator-only website full of millions of ideas. You will also receive the Stampin' Success magazine, available only to demonstrators. That's all in addition to the great savings you receive and the great new friends you will make!